Hello crafty friends – twice in the space of a few days! 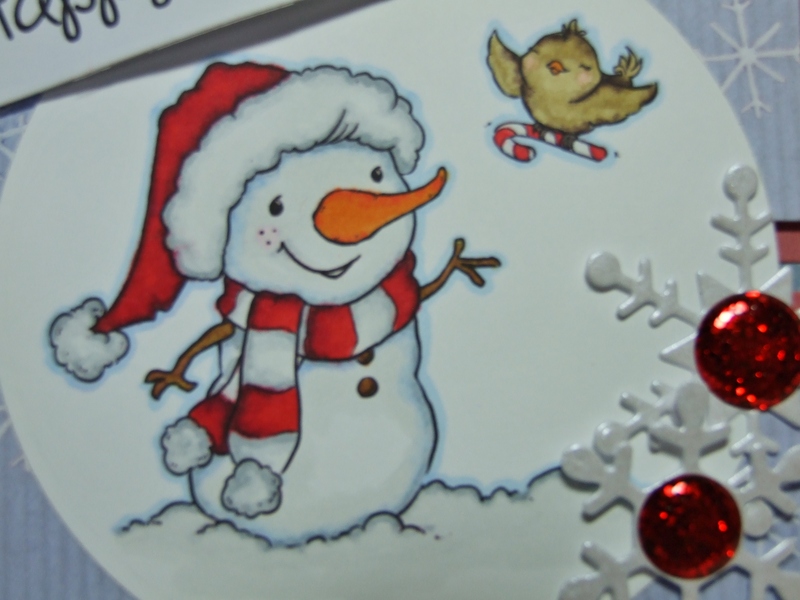 I just wanted to share this card that I have made using a digital stamp by fromtheheartstamps.com called ‘Candy Cane for Snowman’. This is the Digital Stamp Image of the Month Challenge for August so I bought it and thought I’d give the challenge a go – my first ever challenge! I find colouring white items on an image quite tricky so I was actually challenging myself here! I used my Spectrum Noirs to colour this cute little image and used pale blues and pale greys to try and get some definition on the white parts.This image also comes with several sentiments. I’m really pleased how it turned out and in the future will not shy away from ‘colouring’ white space! Plus it’s another Christmas Card ticked off my to-do list! I also used Forever Friends ‘Kraft Notes’ patterned papers, Spellbinders square, circle and label dies, I think the snowflake dies are by Marianne Dies and Papermania Glitter Dome Spots. Next > Pocket Letter Debut! 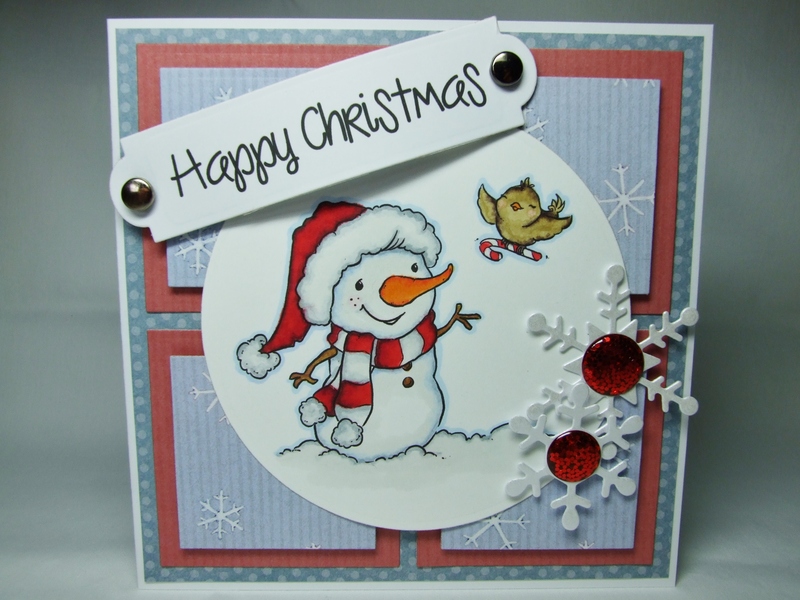 Another lovely layout too, hard to believe that this is your first challenge card! Darlign image and love the angled sentiment panel. This is adorable. You did a wonderful job coloring the white. Beautiful creation. So glad you are joining the FTHS stamp of the month challenge. I really love the layout and your coloring. Super job!! Well done, Karen! Thank you for joining our Stamp of the Month challenge this month!